The active area can sometimes be referred to as your tablet’s work area. Simply put, it is the area where you stylus reacts and draws on the tablet. Many graphics tablets will come with a plastic edge or bezel which will come between the screen and the casing. Now, you don’t necessarily need a really large area in which to do your work depending on the interface that you are using, but it should be big enough so that it fits your personal style without the problems caused by running out of room. The active area on most tablets you can purchase is clearly indicated, but it’s a good idea to double check the size of the screen before you buy the tablet. In fact, check the specifications for the tablet and the words ‘active area’ because the last thing you want to have happen is to end up with disappointment when you realize that it doesn’t have enough room to handle the work you are doing. With a graphics tablet, anytime you see the term additional features, they aren’t necessarily must-have items, but they can be something you may want to consider when you might be on the fence and struggling to choose between two similar tablets. There are some additional features that can be useful such as HotKeys or even a multi-touch capability. If anything, these additional features are designed to help make operating the tablet easier and overall, a more enjoyable experience. Also known as a shortcut key, it’s becoming more and more common, with the evolution of tablets, to see ones that come with HotKeys built right into the tablet. These keys are designed to help you save time and streamline your work process so you can focus more on getting things done instead of searching for the apps you use the most. Many tablets will allow you to customize as well as program the keys for your favorite shortcuts, while others will pull the shortcuts you use the most into the hotkeys automatically. For a lot of people, a stylus is a little plastic stick that comes with their child’s Nintendo 3DS or that if you’ve seen one stylus, you’ve seen them not. This isn’t the case if you’re a graphic designer or illustrator. For professionals, the best stylus comes in two forms: battery-operated and electromagnetic resonance (EMR). Although there are differences between them, they are designed specifically to mimic the feel of drawing with a regular pen or pencil. EMR styluses use low energy levels that are generated by the pen’s circuits which reacts with the active area on the tablet. They tend to be thinner that battery-operated styluses and have a thicker point. On the other hand, a battery-operated stylus is designed with a finer point and made to be used for pen-to-tablet drawing. When you’re looking to buy a tablet to use for your projects, you’re going to run into one of two basic tablet designs. Flat and on-screen models. Now, obviously there can be a price difference between the two of them, but which one is better for you generally comes down to personal preference. The LPI (lines per inch) for an on-screen table will generally be the same the LPI for a flat model tablet. For some though, using a flat model can take some getting used to. Drawing on a tablet while looking at your monitor or laptop screen can be discombobulating at first, while those who prefer drawing on an on-screen tablet are comfortable drawing right on the screen as they do not have any other option. 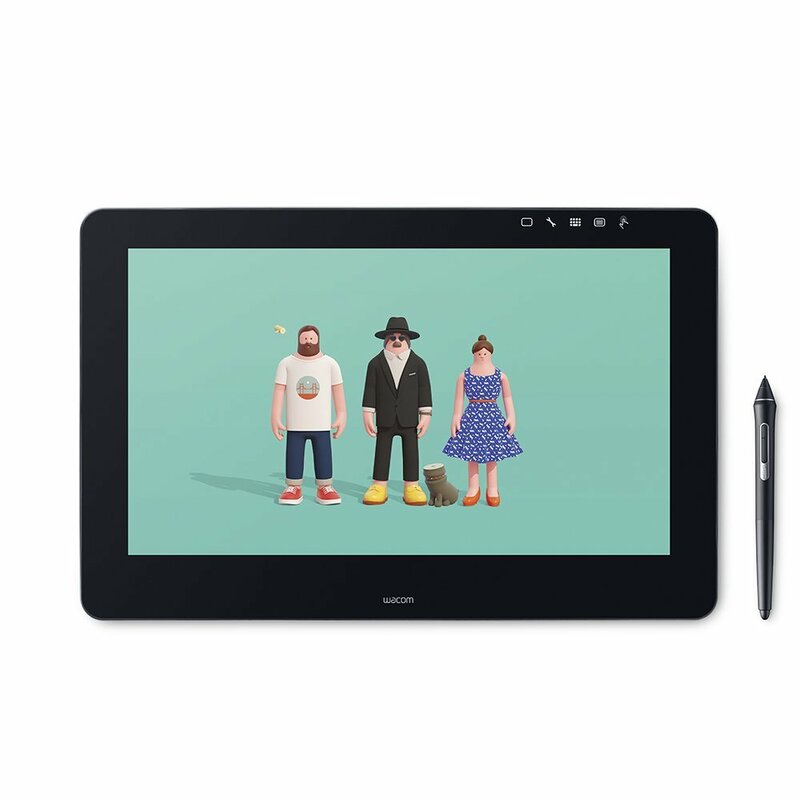 A drawing tablet typically isn’t something that someone would buy unless they need it for a specific purpose such as drawing, illustrating, or graphic design work. The one that is ultimately chosen has many things considered, but one of the most important is the table sensitivity. Everyone has a different drawing or illustration style. Depending on yours, you may want to choose a tablet with an ultra-sensitive and responsive surface. Another major factor is the pressure sensitivity, although this is a hardware issue for the tablet. Pressure levels on tables start at about 300 levels of pressure and go up to around 3000. In this case, the higher the number, the more responsive the tablet will be for you. For illustrations and design work, the optimal pressure level to look for on a tablet is in the 1024 range. If you work in a field where you need to make very high-resolution images that also have very sharp graphics, picking a tablet with a high LPI would be best suited for you. Think of LPI the same way that people think of 4K resolution found on televisions and computer monitors. with 4K resolution, the image on the screen is as bright and sharp as it can be, a higher LPI can provide the same effect on a tablet. Moving around the screen on your tablet using the stylus to get around or even your finger could cause mistakes to be made on your project, meaning you’d have to spend more time fixing errors and not meeting your deadline. Thankfully, many tablets have a scroller built into the tablet already. This will help you move around the project quickly without unforeseen errors occurring. Like the tablet you choose, whether you decide to use a tablet that is wireless or wired is a personal choice. While a wired tablet keeps you at your desk and doesn’t give you the freedom of movement that a wireless tablet may, it will give you a direct connection to your workspace or monitor. Wireless tablets have become a default choice for a lot of graphic designers. The freedom that it gives you to move around without accidentally pulling on the cord and possibly damaging the tablet is beneficial. However, with a wireless tablet, you’re reliant on having a good connection to your monitor or workspace, which may not be as secure. Although everyone will have different requirements, these are the top drawing tablets for designers in 2018 and most likely, 2019. 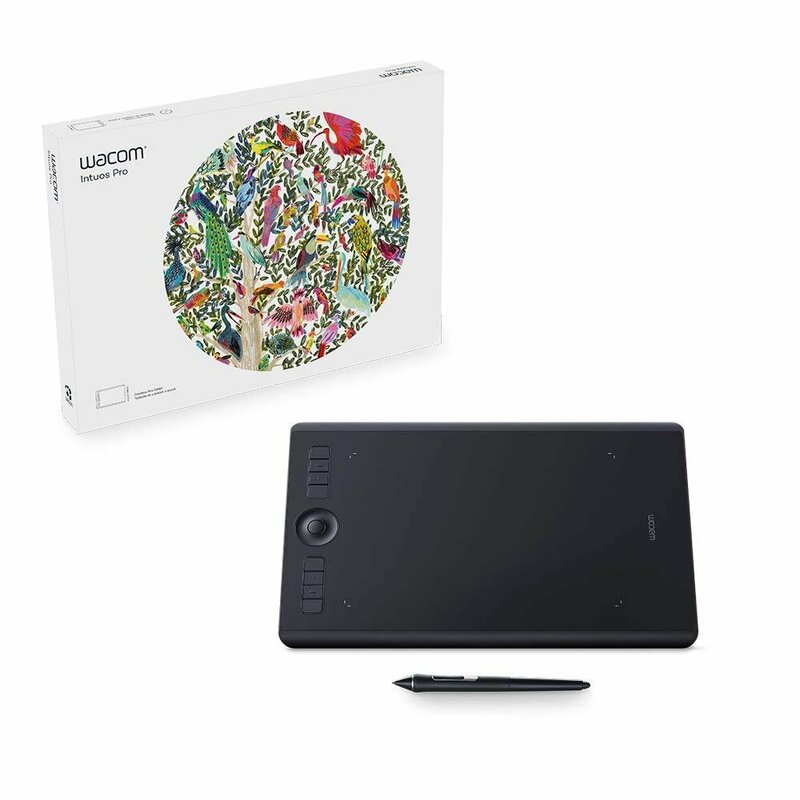 Available in small, medium, and large sizes, the Wacom Intuos Pro Digital Graphic Drawing Tablet also allows you to customize the tablet even further by being able to choose one of three different editions: Regular, paper, and the pro bundle. Revamped pen technology helps to give you pinpoint accuracy and up to 8192 levels of pressure sensitivity each time you use the tablet. A battery-free, tilt support built-in pen keeps you having to worry about charging it. The included stand as well as its sleek design always keeps your pen within arm’s reach. Able to support Windows 7 and beyond as well as Mac OS 10.10 and newer. the tablet comes equipped with a USB port. Bluetooth connectivity is supported in paper mode helping you connect to mobile devices as well as a larger active area than some others on the market. 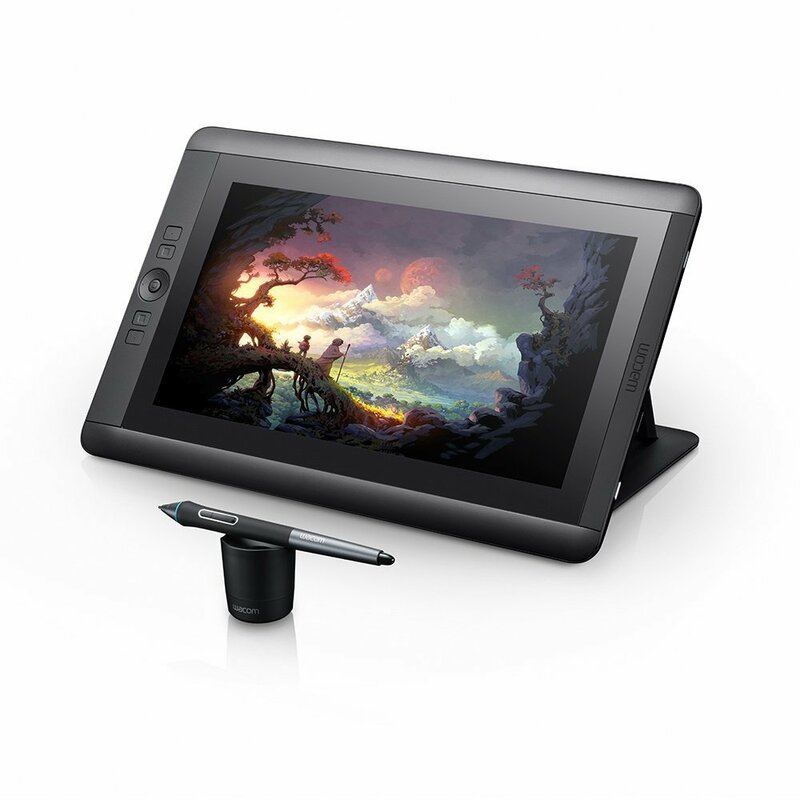 The Wacom Intuos Pro Digital Graphic Drawing Tablet has many features that any illustrator will love including multi-touch gestures, customizable hotkeys, Radical Menus and a pen that comes with easy side switches. It is a quality choice for a graphic designer. An ergonomically designed tablet can be a good selling point for someone to look for. A tablet with ergonomic design features, like the Huion Inspiroy Q11K Wireless Graphic Drawing Tablet can provide maximum comfort for the person using it The tablet’s design and very large 11-inch active area allow you to get work done quickly and easily, but also allows you to rest your wrist comfortably along the edge of the tablet to help reduce fatigue. Huion recently upgraded the pen that comes with the tablet with features that include 8192 levels of pressure which can give you the perfect level of accuracy and performance. The strokes you make with the pen ranging from thick lines to hairline designs can be as precise as you need them to be. With its balance and lightweight design as well a rechargeable battery the experience you have with the pen can help you with any project. The Huion Inspiroy Q11K Wireless Graphic Drawing Tablet can easily become your favourite tablet very quickly. With up to 40 hours of battery life on a single charge and a pen with a built-in nb extractor, you can work all night long without having to worry about your tech failing you. For some, holding a tablet while you work really isn’t best for them to get work done and a tablet that lays flat doesn’t give them the best viewing angle. With the Parblo Coast10 10.1″ Digital Pen Tablet Display Drawing Monitor, you can have a high viewing angle in both horizontal and vertical of 170 degrees so that you can view the tablet’s screen in different ways for optimal comfort. The design is also ergonomic so you can use the screen comfortably whether in your lap, with a desktop or on your workspace. 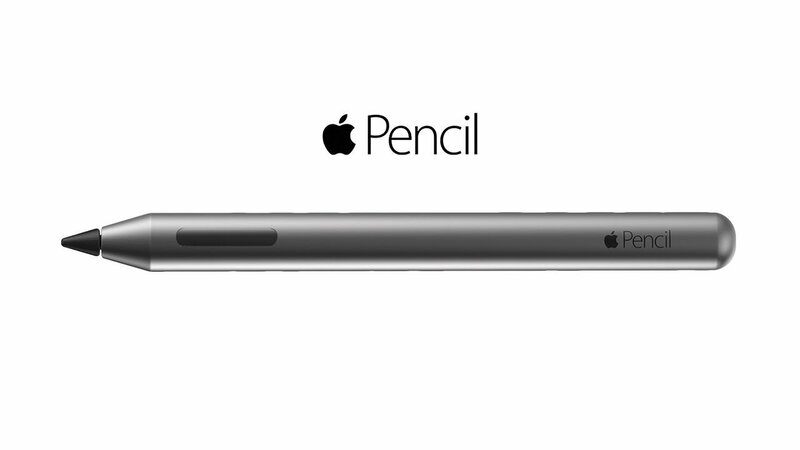 The pen closely mimics an actual drawing pen and is battery-free to make it more lightweight. Able to operate on the Windows operating system between XP and Vista. The large, 10.1 -inch is bright enough to provide you with an excellent way to complete any design or project you’re working on. A major bonus that comes with the Parblo Coast10 10.1″ Digital Pen Tablet Display Drawing Monitor is its compatibility with many drawing programs that include Adobe Photoshop, Illustrator, and Fireworks as well as CorelDraw, Infinite Stratos and many more. This can make it very easy to use right out of the box which also comes with a multi-plugin USB cable as well as an artist’s glove. The Parblo Coast10 10.1″ Digital Pen Tablet Display Drawing Monitor gives any artist a large and vivid tablet that’s easy to work with and with the different viewing angle, it makes getting whatever project you’re working on a breeze. With a very large active area measuring 10 by 6.25 inches, the Huion H610 Pro Graphic Drawing Tablet can make working on even the largest projects easier. The surface of the tablet has been redesigned to give it a paper-like feel that enhances the experience while you are designing. That redesigned feel also helps keep the pen from slipping while in use, keeping your work as accurate as you need it to be. Rechargeable, the pen comes with 2048 levels of pressure sensitivity and also has two programmable buttons which you can use for drawing capabilities and precise line work. Eight customizable buttons and 16 hotkeys adorn the tablet at the top and sides giving you options such as zooming in and out, scrolling as well as mapping them to your own preference. 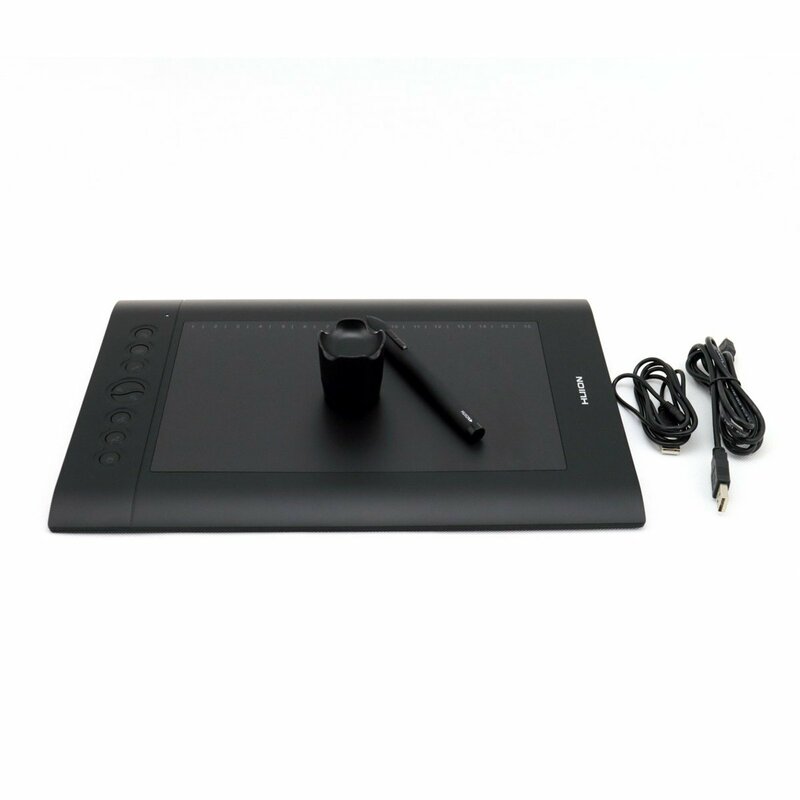 Being able to use this comfortably with either hand adds the level of customization that the Huion H610 Pro Graphic Drawing Tablet provides you with. The Huion H610 Pro Graphic Drawing Tablet is the epitome of customization combined with a large, bright active area. 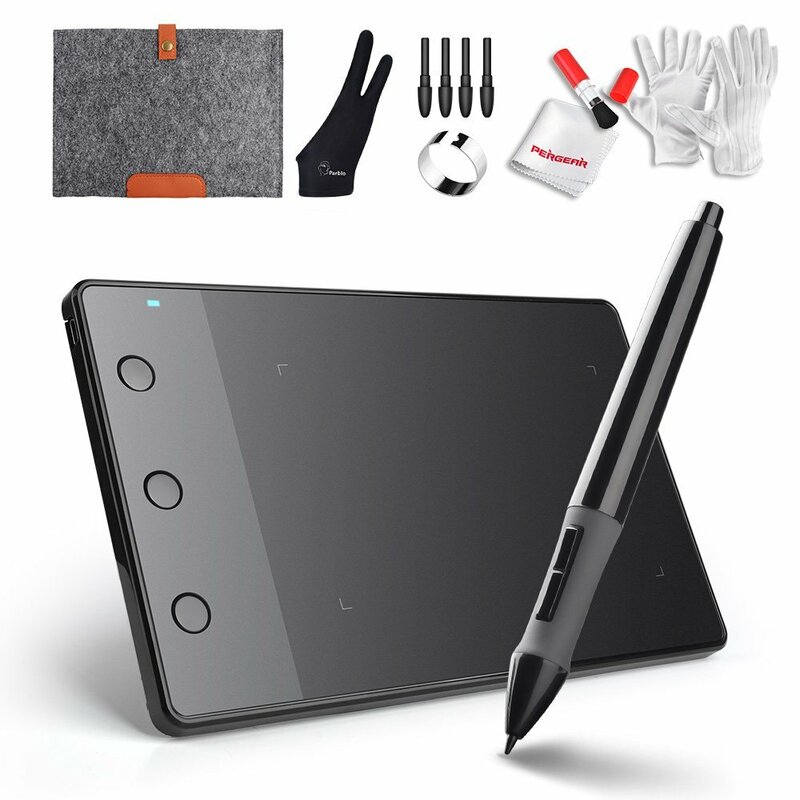 For the price, it is easily a top drawing tablet on our list. Many professionals choose Wacom tablets over other options on the market and its great to see why the Cintiq 13HD Interactive Pen Display is one of them. The tablet is built for customization before you buy it and Wacom offers several different models including a new 13-inch model, a 13-inch pro bundle. and a 16-inch version. 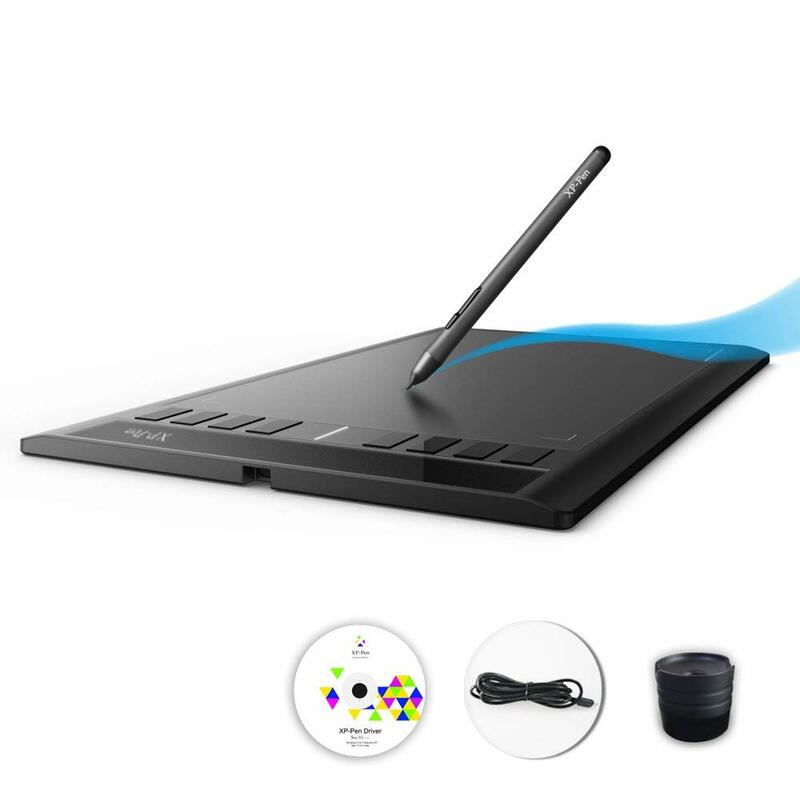 A wide viewing angle and high resolution provide you with an amazing viewing experience while you work directly on the tablet’s screen that gives you a fast and interactive drawing experience. 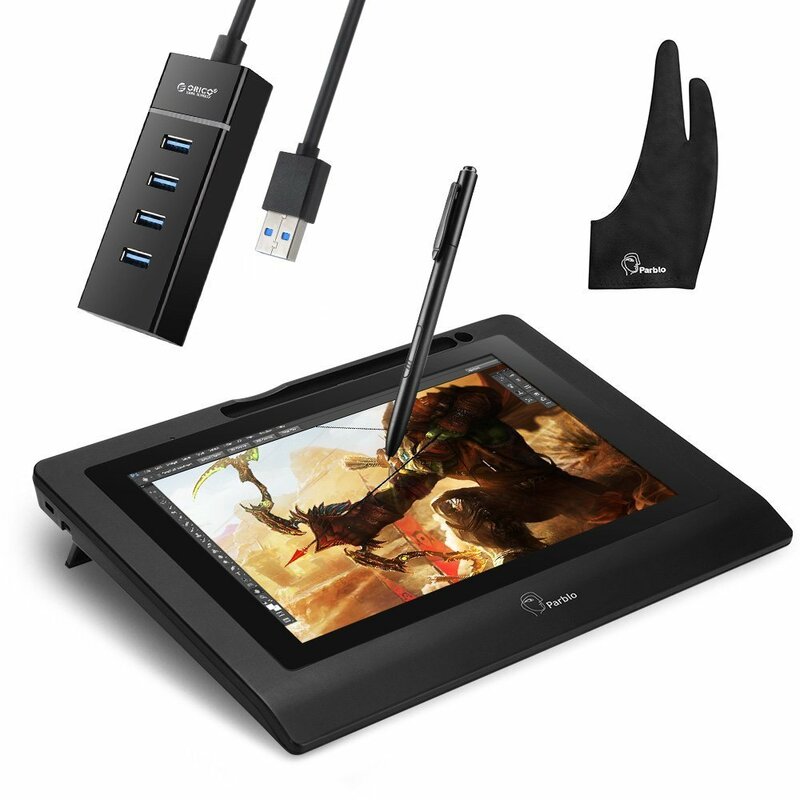 With an HDMI cable included with its purchase, you can connect the table to a monitor if you prefer being able to see what you’re drawing. A display stand with three different positions allows you to easily adjust the viewing angle so it is easier to view and work on at a comfortable height. A compact. lightweight design allows the table to be carried with you easily. A Rocker Ring, as well as four Express Keys give you even more customization options as well as features multi-touch gestures allowing you to scroll, zoom in and out, pan, and even rotate your project with the simplest touch of the screen. With its many different model options and focus on not only a lightweight design but high-end display technology, it’s not hard at all to see why the Wacom Cintiq 13HD Interactive Pen Display is a favorite of illustrators and graphic designers alike. With any tablet from Wacom, including the DTH1620K0 Cintiq Pro 16 Graphic Tablet, the manufacturer has designed them to give you as many options and choices as possible and that’s no different here. Available in four different varieties, the tablet comes with a gorgeous. high-resolution display, which when you are using the USB-C to USB-C connector to hook it up to a computer monitor that displays in 4K, you can have a next-level viewing experience. The pen is lightweight and versatile provided higher levels of pressure sensitivity that can prevent lag and offer pinpoint accuracy that is up to four times greater than other pens. An etched glass screen gives you a smooth surface to work on and comes with a stand that has been integrated into the tablet so you can use the tablet at a greater angle for maximum comfort. Express Keys, one-touch shortcuts, and radial menus make your work experience smooth and effortless. Multi-touch gestures that include scrolling, zoom in and out as well as panning help you get your project completed. Compatible with both Mac and Windows operating systems giving it greater flexibility no matter what you work with. With so many customizable and model options the 15.6 inches of active area found on the Wacom DTH1620K0 Cintiq Pro 16 Graphic Tablet make this more than a suitable choice for your workstation. Packaged and sold as a bundle to make it even easier to use right out of the box, the Huion H420 USB Graphics Drawing Tablet Board Kit is compatible with many different programs including CorelDraw, Corel Painter, Adobe Illustrator, Photoshop, Fireworks, Macromedia Flash, and many more. With a cleaning kit, two -finger artist glove. as well as an anti-fouling glove and durable carrying case, you can easily be up and running with this tablet in an afternoon. A dual function and a drawing tool and a cursor give the pen versatility to be a great stylus to use drawing as well as scroll web pages as well while you’re doing research. You can easily streamline the experience you have with the tablet as three express keys give you the ability to close the current page or save it with a simple click. The very user-friendly design comes with a USB port which can use plug and play technology that much easier. With 2048 levels of sensitivity, the pen lets you draw thick lines or wispy strokes quickly and easily. A high-resolution screen provides your with a bright and clear display with a screen that is 4 by 2.23 inches, which may be smaller than some others, but the compact design is nice. The Huion H420 USB Graphics Drawing Tablet Board Kit is ready right out of the box. With the multitude of accessories as well as compact design, those looking for an easy to use tablet will feel right at home. The first thing that you will notice with this tablet is its large 10.6-inch active area that can you can have a smooth user experience and brilliant screen with the tablet’s high resolution and high response rate. At 230 RPS, the refresh rate helps improve the accuracy of your work as well as reduce any lag that could occur while using the lightweight and battery-free pen. The feel and look of the pen will remind you of what it’s like drawing with a traditional pen. 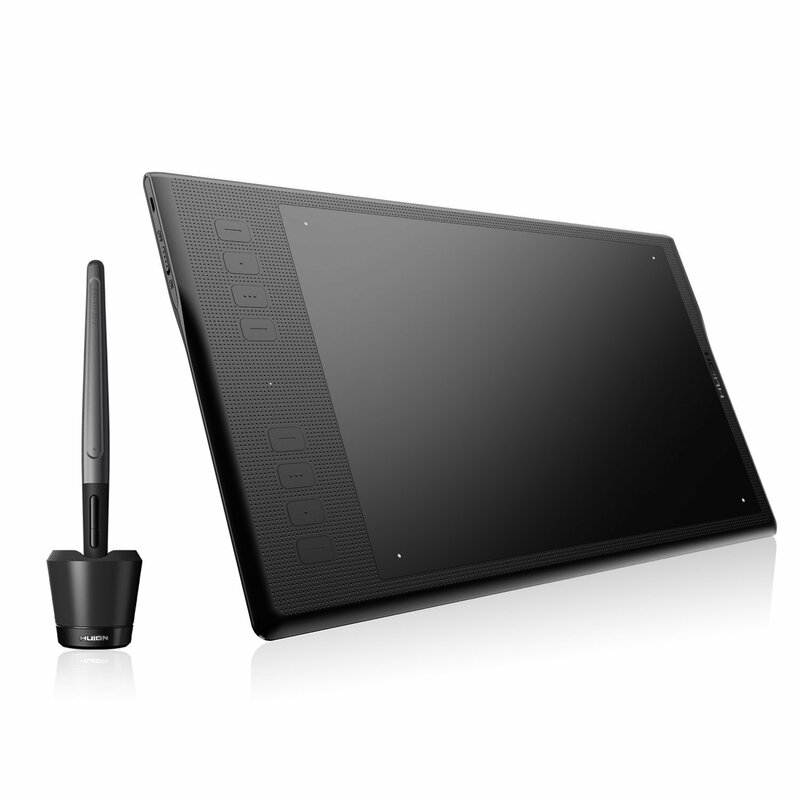 8192 levels of pressure sensitivity let you draw thick, bold lines or thin, wispy lines quickly and easily. Eight customizable HotKeys help improve your user experience while at the same time adapting to the most frequently used shortcuts that you can use whether you’re right or left-handed without any problems. A major selling point for the tablet is the compatibility that it has with a variety of operating systems in order to improve its flexibility such as Mac OS and Windows 10, 8, and 7. The tablet also works well with several of the more popular creative software applications including Photoshop, Comic Studio, and Macromedia Flash. This makes it a very good choice for professional designers, illustrators, as well as beginners. The UGEE XP-PEN Star03 Pro Graphics Tablet provides an extra-large screen and amazing compatibility in a comfortable package. Along with a very realistic-feeling pen, whether it’s day one or your 10th year, your experience will always be a good one. A battery-free pen is lightweight and can easily mimic the feeling you may get when holding a real pen in your hand. Without the hassle of worrying to recharge the pen, projects get done much easier and quicker, in turn making clients happy. Six shortcut keys as well as a dial that will allow you to easily and quickly customize several shortcuts so ihe tablet can fit your needs. Drivers in the tablet help several popular creative software compatible with the tablet and well as different operating systems including Mac OS 10.6.0 or above and Windows 10,8, or 7. This ease of compatibility makes getting all of your projects done that much easier. 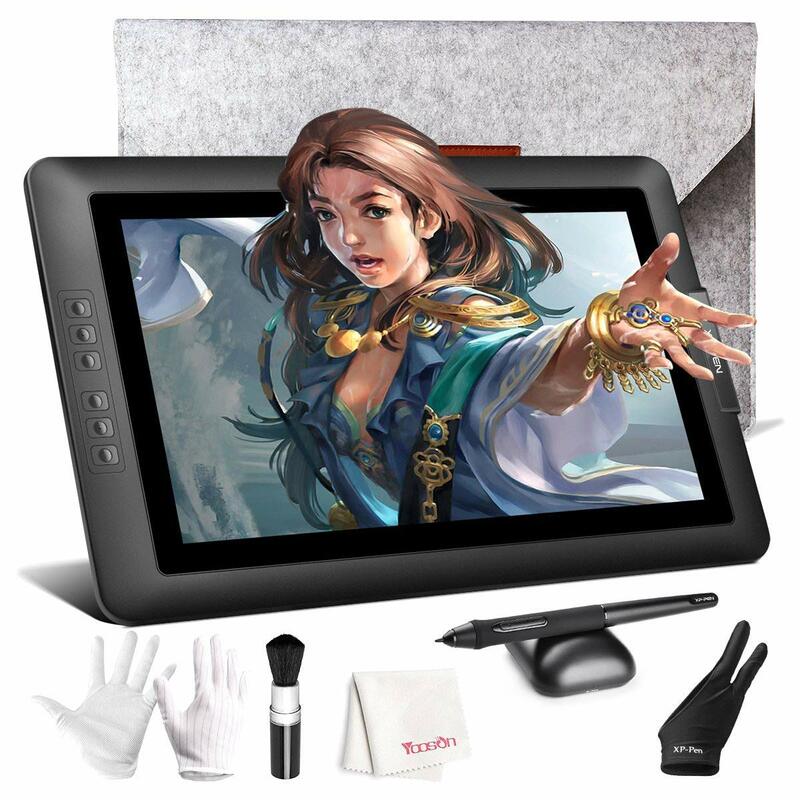 The XP-PEN Star06C Graphics Tablet gives any graphic designer or illustrator an easily compatible tablet that has a great and textured surface that will make you think your drawing on paper. Choosing the best graphics tablet for your project should provide you with a way to not only get your work done but give you an overall enjoyable experience. While each tablet may have some of the same features, not every table is the same. Even small differences can be a big deal. Making sure to know what’s important to you before you start to go shopping will keep you from buying one you’re not happy with. 0 Response to "How to choose the right tablet for graphic design? | Chumbart™"